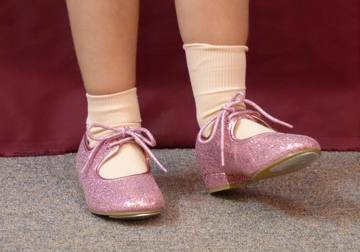 Young children traditionally wear the tyette style tap shoe and we hold this style in black as standard. We even have a velcro fastening for the really young tappers. The tyette shoe is also available in white, silver, red, pink or pink glitter! Please allow a few days for us to source coloured tap shoes.